In December, the California of Office of Traffic Safety launched DDVIP, its designated driver mobile app. The app features exclusive offers and discounts to designated drivers at a growing list of participating bars, restaurants, and other establishments throughout the state. “The DDVIP app lets users see which nearby bars are choosing to reward designated drivers with discounts and free non-alcoholic beverages,” Office of Traffic Safety Director Rhonda Craft said in a December 12 press release. The DDVIP app is available for free download on iOS and Android devices. It directs users to the nearest establishments friendly to designated drivers or allows them to access a statewide list of all participating bars and restaurants. Users can read profiles and reviews of the participating establishments; they can also order a car service with the app if they don’t have a designated driver. “We’re pleased with the growing list of partnering bars and restaurants who are willing to reward and encourage those who choose to get their friends home safely,” Craft said. DDVIP focuses on mobile device users, and while it’s an innovative and probably effective way to keep some impaired drivers off the road, the truth is that almost anyone can be accused of driving under the influence. 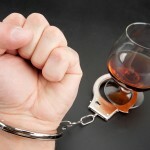 If you’re charged with DUI in southern California, speak at once to an experienced Orange County DUI defense attorney. 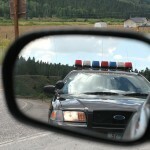 The state of California aggressively prosecutes and punishes DUI offenders, but a good DUI lawyer can protect your rights, explain your legal options, and fight diligently for justice on your behalf. Do not plead guilty, and do not try to act as your own lawyer. 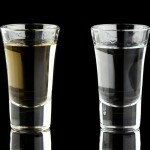 If you face a DUI or a DUI-related charge in Orange County or anywhere in the region, speak to an experienced Orange County DUI defense attorney as quickly as possible.